«A long time ago in a galaxy far, far away…» philatelist used to keep information about their stamps in some simple text files or tables. But the abilities of the specialized software are incomparably richer! The full-fledged database allows you to divide your collection into custom sections, to find and sort necessary records instantly, to keep all images in order and view them right through the program interface. 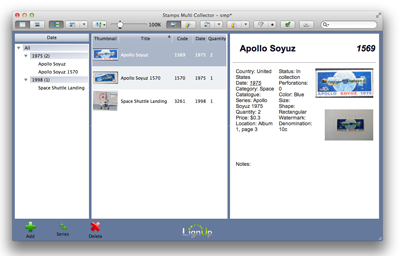 In addition the Stamp Multi Collector is compatible with Mac OS and Windows both and has some special functions for working with stamps. 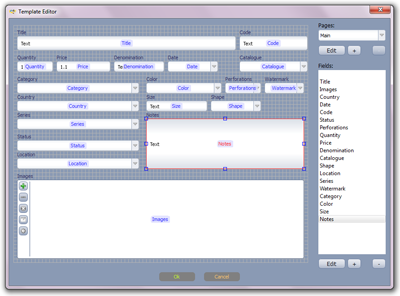 Do not want to use all fields, or you need to add custom, or change field type? This is possible with template and layout editors! 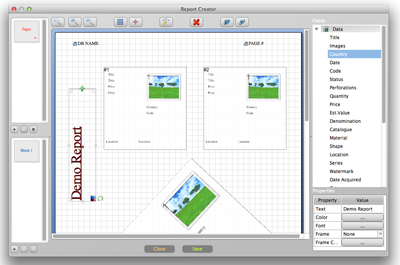 Any time you can create your own template and customize stamp preview. Electronic information can be shared easily. 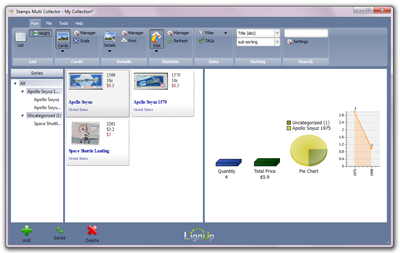 Create reports using advanced report editor.The LignUp Stamp Multi Collector supports data export to popular formats (PDF, Excel CSV, HTML), so you can quickly create the trade lists or demonstrate your progress to those persons, who share your interests. 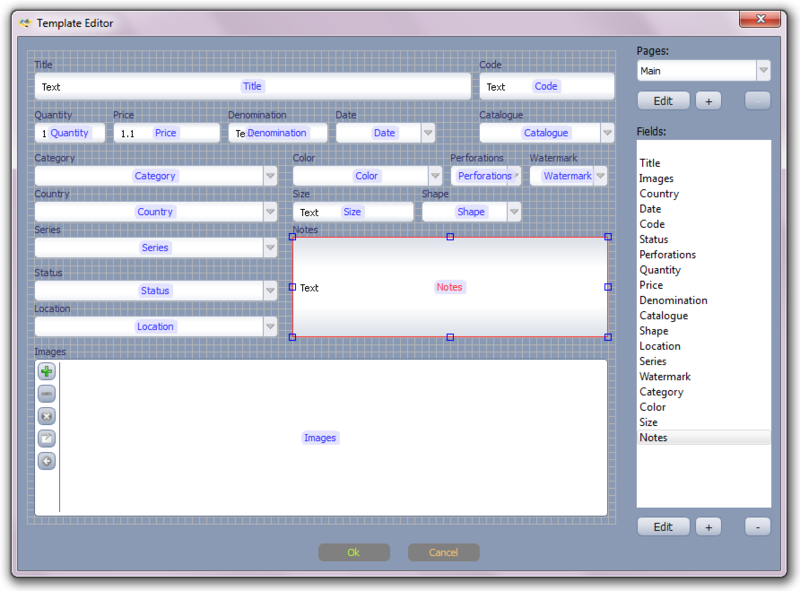 A custom set of database records turns into the presentable page in a few seconds. You have nothing to lose - start using free version right now! 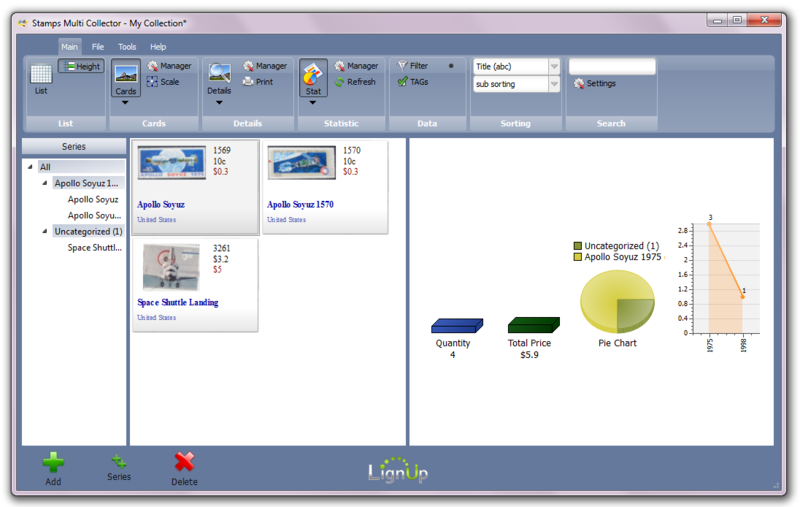 LignUp software is regularly updated considering our users experience. We plan to perform many powerful functions in the nearest releases. 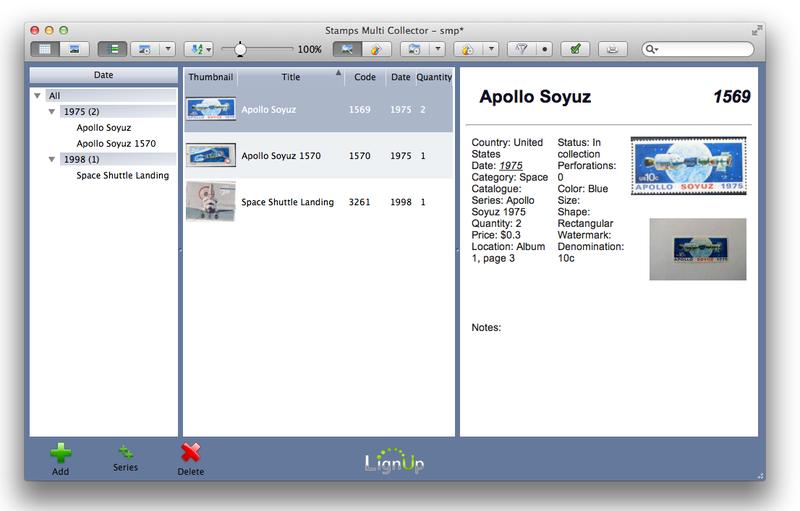 The LignUp Stamp Collector — especial philatelic software. Stamp Identification and valuation application!